As a luxury hotel close to Charles Bridge and Prague Castle, the 5-star ex ‪Aria Hotel Prague is located in the popular Lesser Town area of the city. Offering a private cinema, a music salon and fitness centre, the Aria is popular with the very hip and trendy younger clientele. The in-house CODA Restaurant ranks among Prague’s best fine dining establishments and features a delightful menu prepared by an in-house Executive Chef. Bedrooms at this unique Prageu hotel are all devoted to the hotel’s ongoing musical theme and are opulent and extremely comfortable. Visitors at this unique luxury hotel wanting to really experience the hotel at its finest can upgrade to the Beethoven or Mozart suites to get a real feel of the city’s love of its musical heritage. Prices from €190 per night. Lashings of comfort and luxury await in a very private space in one of the city’s most recognised buildings. 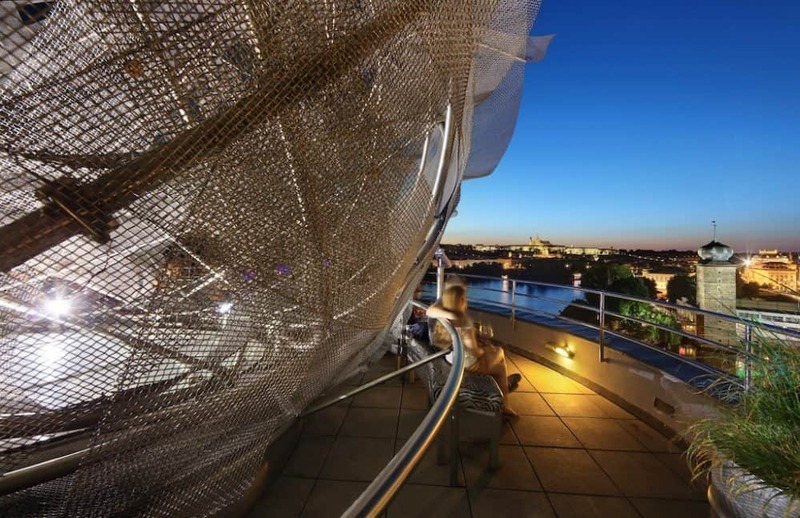 Located just short of the Old Town, the 4-star exceptionally rated Dancing House Hotel offers clear views of Charles Bridge and Prague Castle and the building itself is a beacon of modern design. Bedrooms at this cool and unusual Prague hotel are designed to fit the circular architecture of the building and feature sumptuous beds, designer bedding and unusual furnishings, while bathrooms are softly lit and feature rainfall showers. The top floor restaurant offers spectacular views out across the National Theatre and serves an eclectic mix of European dishes. Prices from €80 per night. 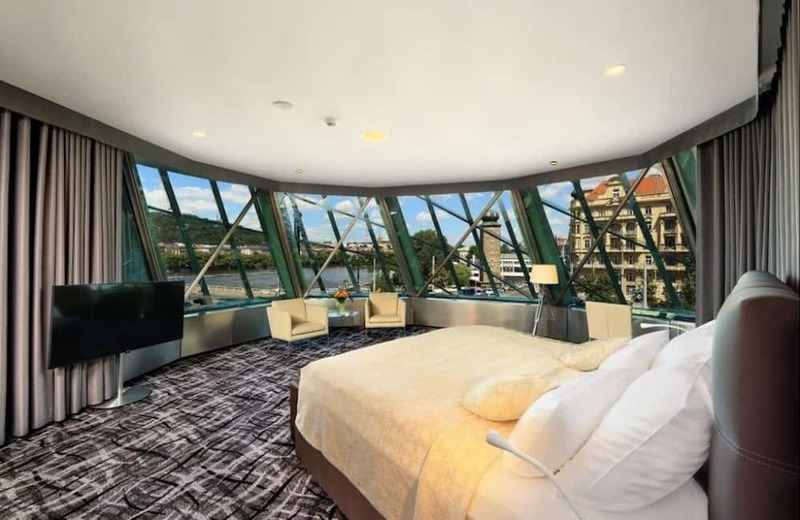 Situated on a newly constructed promenade this floating hotel offers a unique and exciting way to stay in the city of Prague. 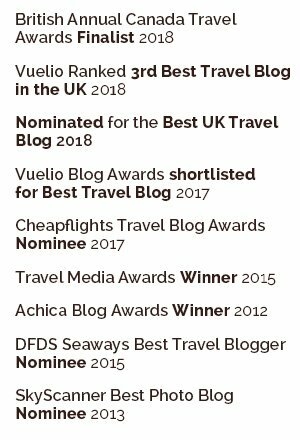 The 4-star much loved Botel Matylda is one of the most famous floating hotels in the city and is made up of not one but two elegant boats moored close to local art galleries, museums and restaurants. All of the 25 bedrooms have a grand feel, and offer luxurious accommodation with a colonial vibe. 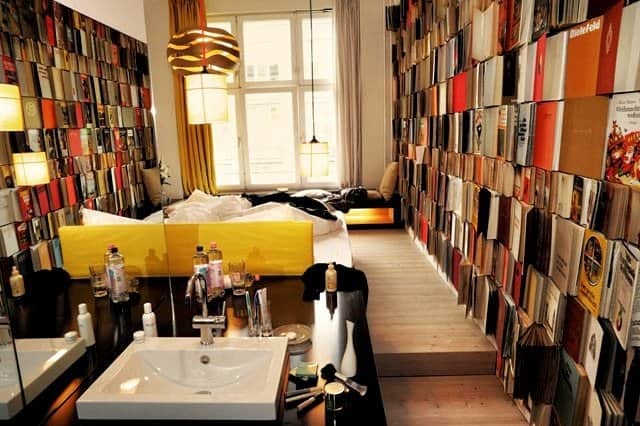 Every room is entirely unique, but they all benefit from fantastic watery panoramas of the fascinating architecture that can be found in the city centre. 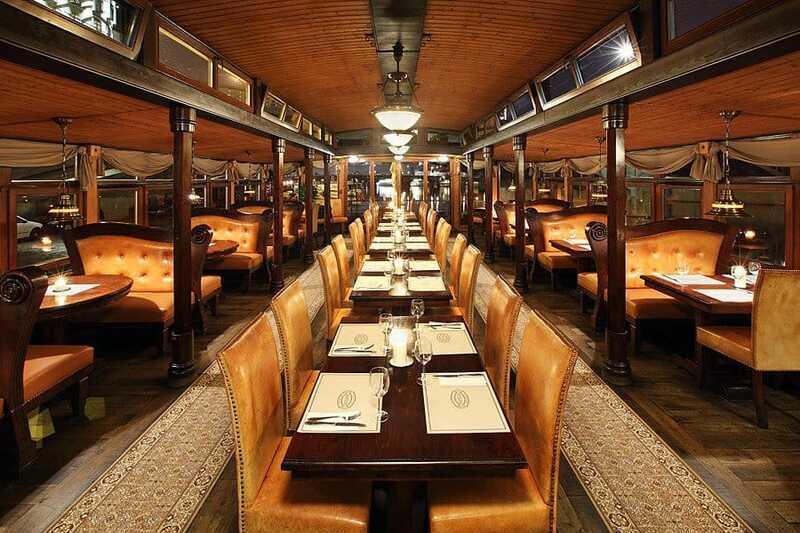 The unusual floating restaurant serves up local dishes whilst offering 360 views of the waterfront and city streets, and there is even an onboard wine shop selling the finest Czech wines and other local beverages. 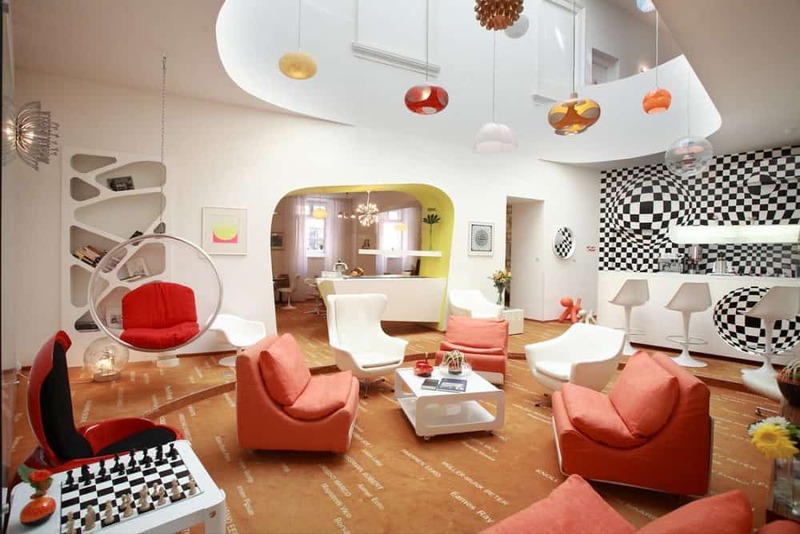 If you are looking for somewhere unusual to stay in Prague, look no further, you have found it here. The 4-star highly-rated Vintage Design Hotel Sax offers distinctive decor and uber cool accommodation in the heart of the city. 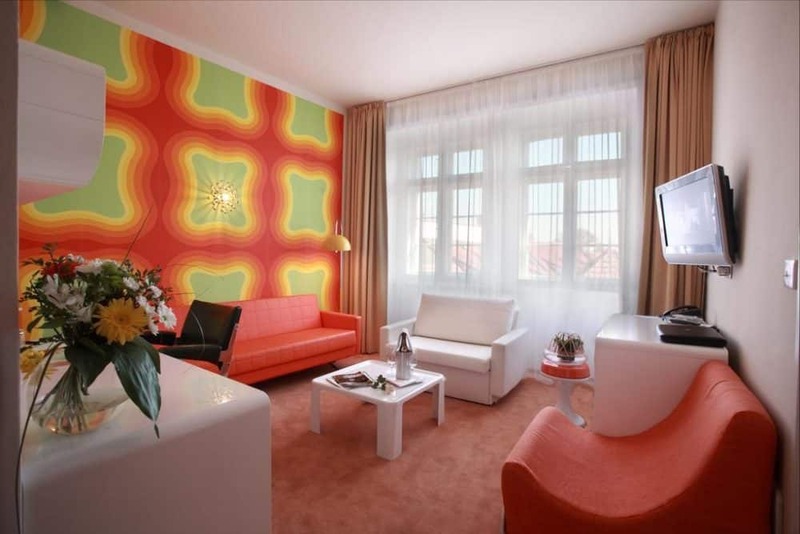 Just a 5-minute walk from Prague Castle, this hotel will transport you back to the 1950s, 60s, or 70s with interiors created by cutting-edge designers such as Panton, Colani, Saarinen, Eames and many more. Bedrooms are bold and colourful, with a funky, retro vibe and offer large beds, quality furnishings and bathrooms with bold feature walls and fast running showers and baths. Breakfasts at this hip and funky Prageu hotel are continental in style and an offer a very laid back dining experience, while the on-site coffee room serves up fresh brews in psychedelic surroundings. For lunch and dinner, there is a huge variety of local bar, restaurants and cafes right outside the door. Prices from €65 per night. 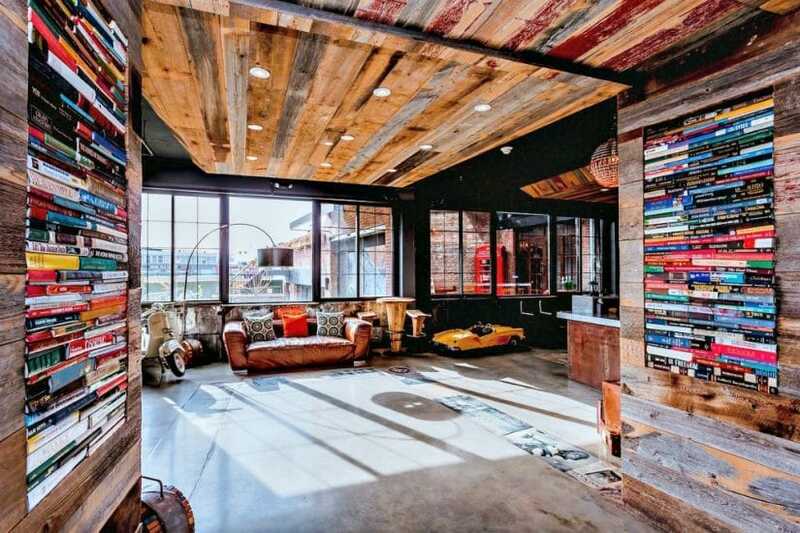 This brand new lifestyle hotel promises to take your holiday experience to the next level. 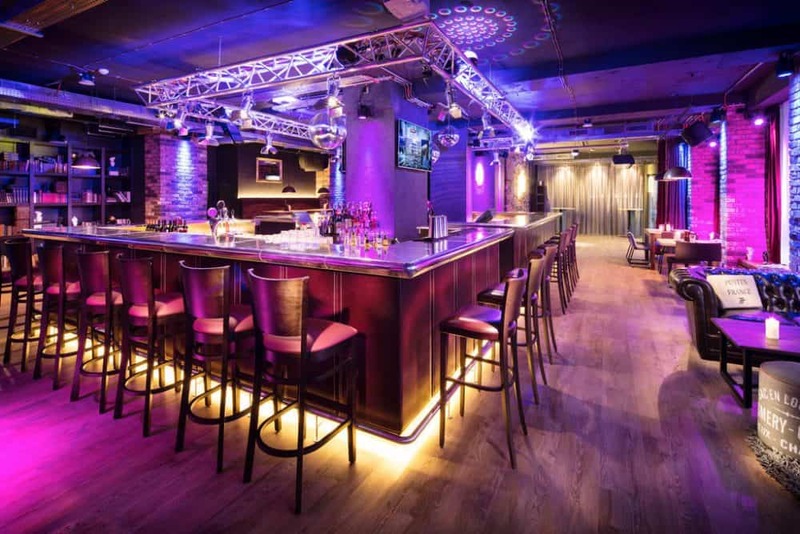 The 4-star exceptionally rated NYX Prague offers fun and funky accommodation in the urban centre of the city and is close to a wealth of bars, restaurants, clubs and shopping centres. Housed in a historical building, built by famous Czech architect Josef Gočár, the hotel offers clashing interiors and plenty of street art. Bedrooms at this trendy Prague hotel are bold and funky with feature walls and modern textiles, while the bathrooms are bright and modern with full-size showers. The Clash restaurant and bar serves up burgers and street food late into the evening, and also offers an extensive menu of drinks and cocktails. Located within easy distance of all of the main city centre attractions, NYX Prague is a crash pad for the style conscious. Prices from €60 per night. 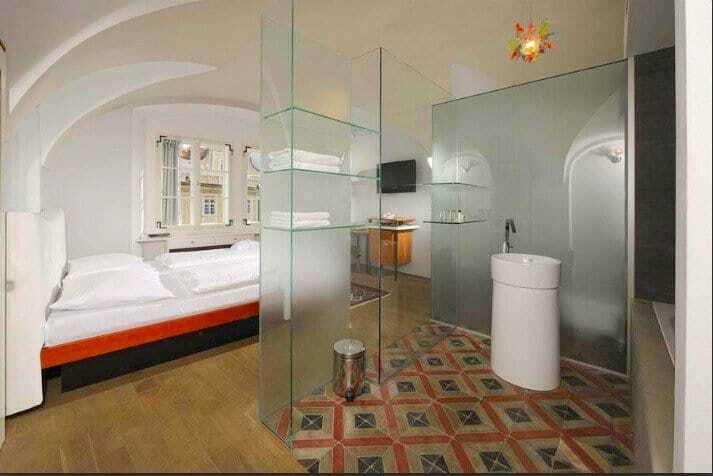 A luxury boutique hotel located just below Valdštejn Palace in the charming Mala Strana district. Housed in an original 14th-century Augustinian brewery with later additions, the 5-star exceptionally rated Hotel Three Storks has been beautifully restored to provide design-conscious interiors throughout. 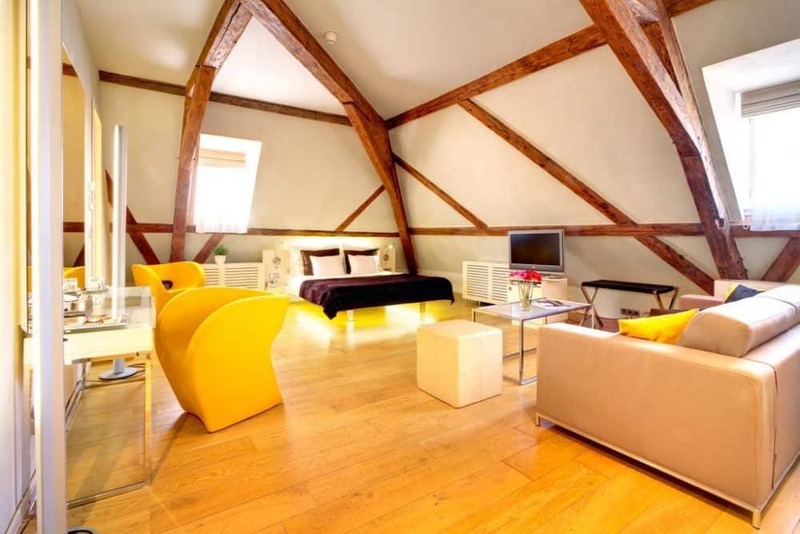 Bedrooms at this boutique Prague abode come complete with exposed wooden beams, painted wooden ceilings and contemporary furnishings, with some even offering views out across Prague Castle itself. There is no restaurant on site but the Waldstejnska Hospoda just around the corner offers Czech dishes and South American steaks, as well as an extensive breakfast buffet. Prices from €100 per night. Situated in the quiet neighbourhood of Karlín, the 4-star exceptionally rated Pentahotel Prague is a trendy boutique hotel just a 10-minute metro ride away from the historic Staroměstské náměstí square and Prague Castle. Bedrooms are sleek and spacious and offer Wi-Fi and flat-screen TVs, feature walls, work desks and rainfall showerheads in white tiled bathrooms. The onsite restaurant serves up a wide selection of salads, pizzas and Pentaburgers, while the bar staff will check you in and make you a welcome cocktail. Modern and friendly, the fun and funky Prague hotel also has a gym facility for health-conscious travellers. Prices from €70 per night. 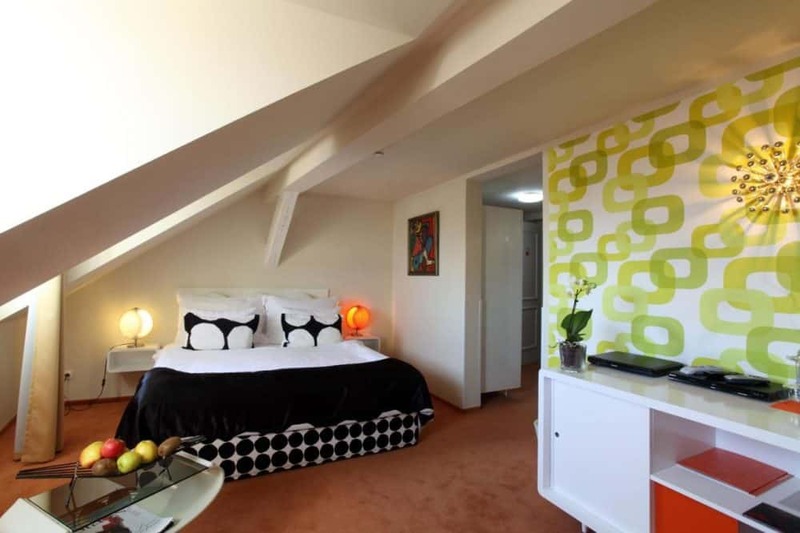 A wonderfully hip hotel located directly between Prague’s new and old quarters. 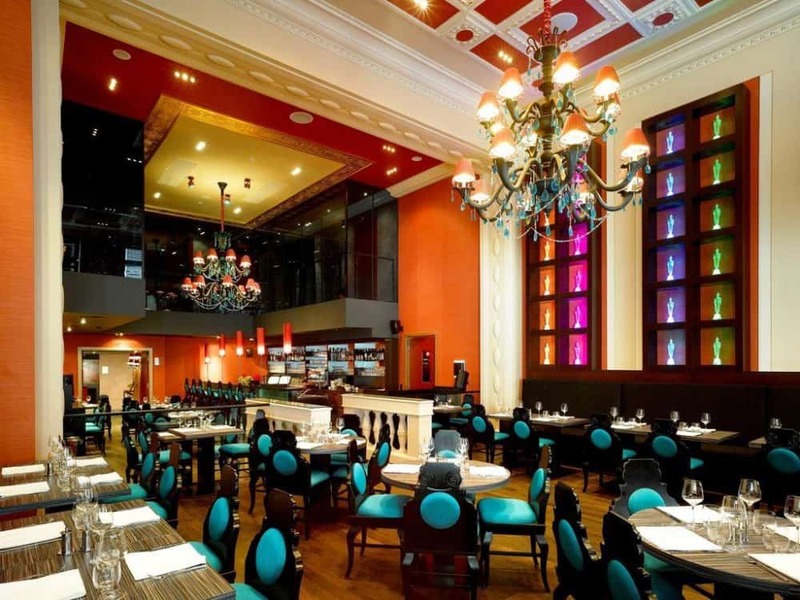 The ‪5-star exceptionally rated Buddha-Bar Hotel Prague offers decadent, hi-tech rooms that have an oriental feel and include dim lighting, dragon motifs and sensual red decor throughout. Popular with young and upwardly mobile urban travellers, the Buddha-Bar restaurant offers Asian fusion cuisine teamed with an extensive bar menu and plenty of cocktails, as well as DJ evenings, club nights and even the occasional burlesque show to boot. 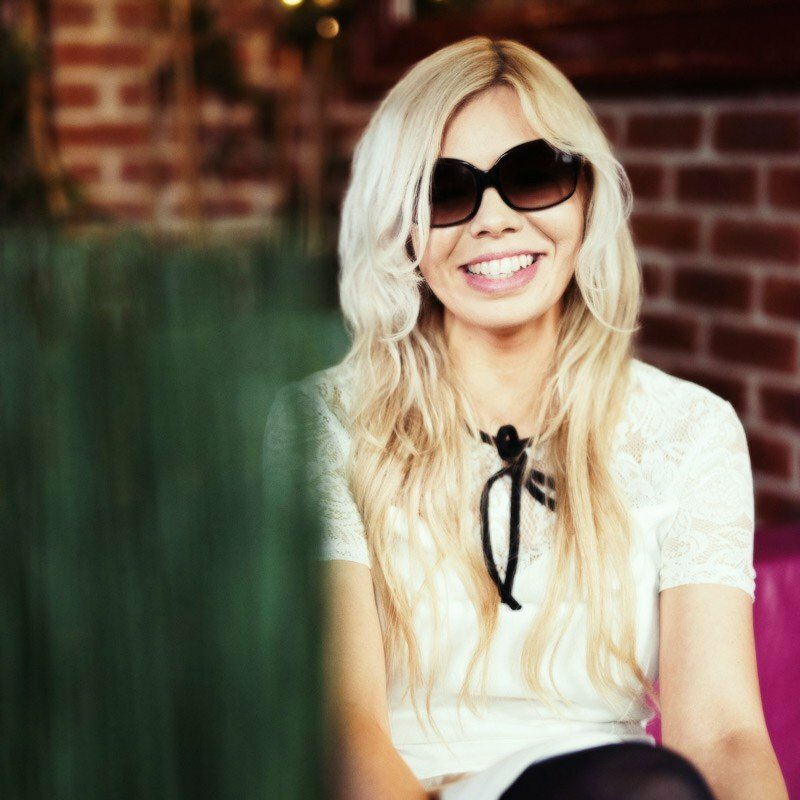 Interesting touches like the live Buddha Bar radio station that can be listened to through the 40-inch televisions, make this hip Prague hotel an exciting proposition for visitors to the city. Prices from €120 per night. 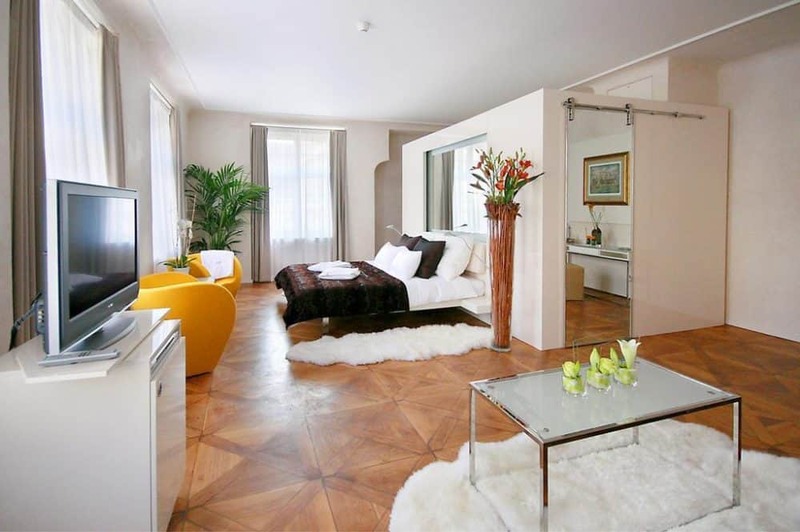 Hotel Grandium Prague is a luxurious 5-star hotel conveniently located near the centre of Prague. 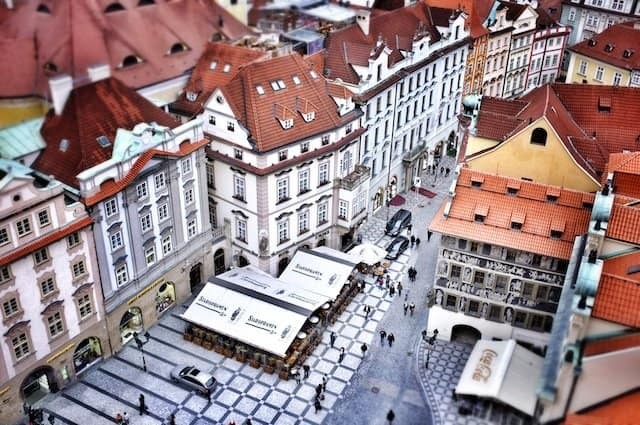 With famous attractions like the Mucha Museum, Wenceslas Square (Vaclavske Namesti) and Powder Tower (Prasna Brana, Powder Gate) close by, The chic Prague hotel is the perfect luxury base for visitors looking to explore the delights of this beautiful ancient city. Bedrooms are chic and well appointed and come with comfortable beds and a regal feel. The Ingarden Noodles Restaurant and Cafe serves up everything from Thai to Italian cuisine and is popular with city-dwellers and visitors alike. There is also a hair salon, a fitness centre and a coffee shop in the lobby of this upscale city centre hotel. 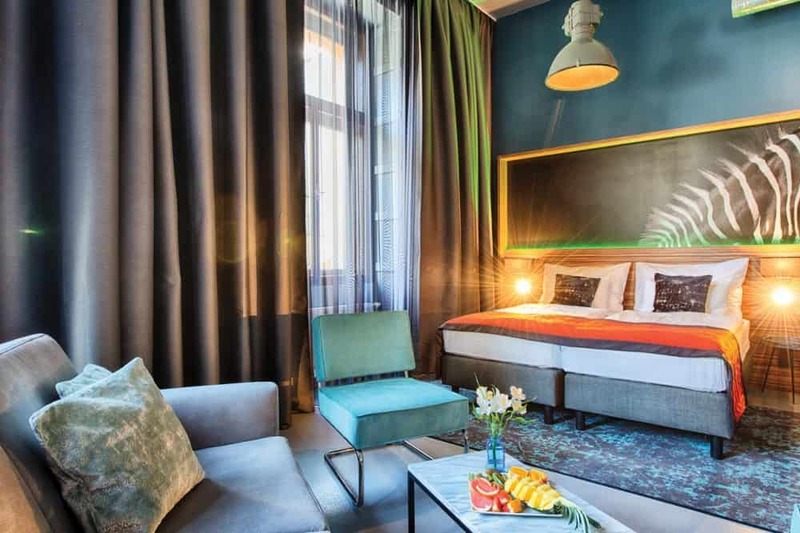 Offering a fresh approach to inner-city accommodation, Moods Hotel Prague is one of the new generation of crash pad hotels that are springing up all over the city. 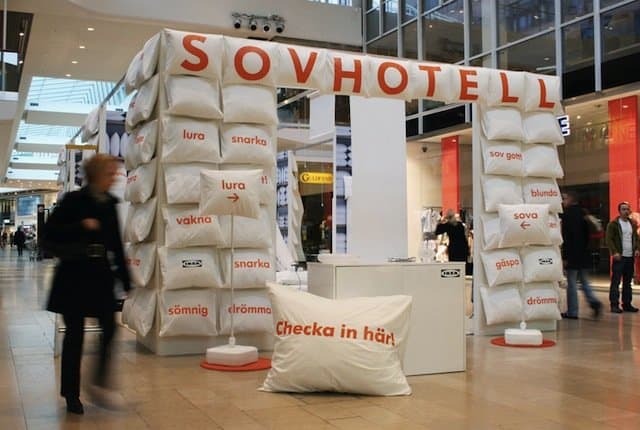 Situated in the Nové Město district, the hotel is just a short walk away from the iconic Old Town. 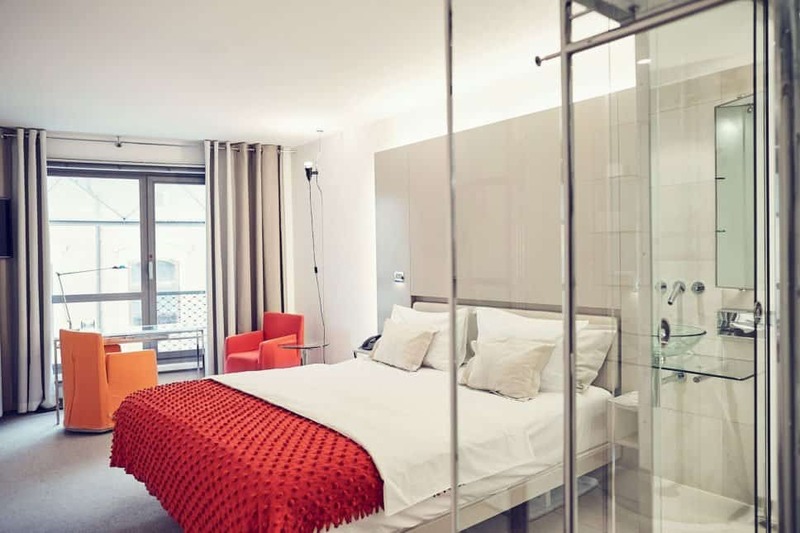 Bedrooms are compact but well thought out with the highly revered Hästens beds, iPad and iPod charging stations, as well as flat screen TV’s, laptop-friendly safes and dimmer switches with light spectrum controls. Bathrooms are clean and practical and all come with a shower and bathtub. The 24-hour bar at this contemporary Prague hotel is popular with younger travellers, and as well as locally sourced wines, it also serves hearty pork and beef dishes and mugs of famous Czech beer. 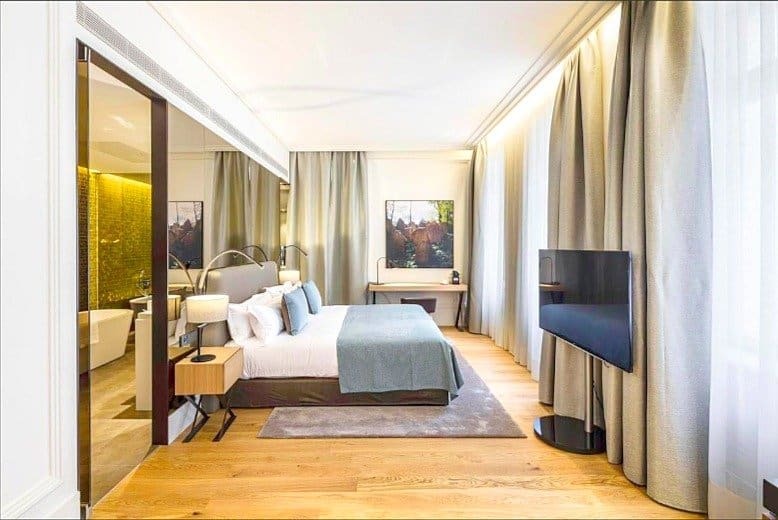 An intimate hotel offering just nine suites, the 4-star highly rated Nicholas Hotel Residence is perfect for romantic getaways or intimate family holidays. Housed in a historic building, there is plenty of old world charm to be found here, including original wooden flooring, exposed beams and antique furnishings. Bedroom suites are beautifully appointed and benefit from high-quality furnishings, super soft linens and even offer their own kitchenettes. Views are limited by skylight windows in some of the suites, but you only have to step outside to experience the city in all its glory. The stylishly quirky Prague abode serves up a hearty Continental style breakfast, but you will need to explore the fabulous range of local restaurants, cafes and bars for lunch and dinner. 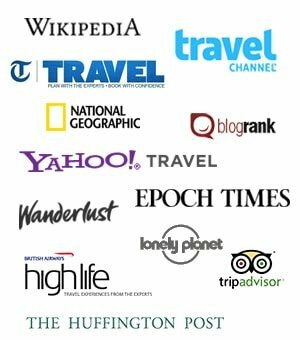 Prices from €55 per night. A charming and well-appointed four-star hotel situated close to Prague Castle, the 4-star highly rated Design Hotel Naruda offers chic accommodation close to the Lesser Quarter. Offering a beautiful blend of historic stone and wood elements, along with a mix of modern and antique furnishings, this traditional building has been transformed into a wonderful modern place to stay. Bedrooms are big and beautiful with antique furnishings and luxury linens, while bathrooms are slick and modern and feature glass wall partitions. 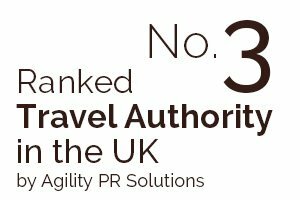 There is no on-site restaurant but the hotel’s Prague Chocolate Café & Bistro has excellent coffee, hot chocolate and homemade cakes, and the buffet breakfast offers an extensive range of dishes. Outside the cool Prague accommodation, there is a plentiful array of wine bars and restaurants, meaning that you will never go hungry here. As the name would suggest, the 4-star highly rated Hotel Monastery is housed in a former Monastery building, dating back as far as the 17th century. Located close to Prague Castle and equidistant between both the old and new towns, the Gothic style monastery offers the perfect peaceful retreat away from the bustling streets of this beautiful city. Bedrooms are clean and modern and offer fantastic views, whilst bathrooms are well equipped with steaming hot showers and contemporary suites. The unique Prague abode also offers a hot and cold breakfast buffet served in welcoming surroundings, whilst diners can enjoy a wide range of local bars, restaurants and cafes throughout the day and well into the evening. The 4-star highly rated Boho Hotel is an elegant, glass-fronted building situated on a quiet street between both the Old and New Town districts, surrounded by charming cafes, shops, restaurants and bars. Bedrooms are sleek and refined with solid furnishings, quality wooden floors, and designer beds with crisp cotton beddings, while bathrooms offer a mix of see-through glass and rainforest showers. A buffet breakfast spread is served daily in the atrium restaurant, and free wine-tasting sessions take place every day at 5.00pm. The chic and trendy Prague hotel also offers a compact fitness studio, a plunge pool with sauna and steam room, as well as a dedicated library area seated around an open fire, and free coffees and pastries. 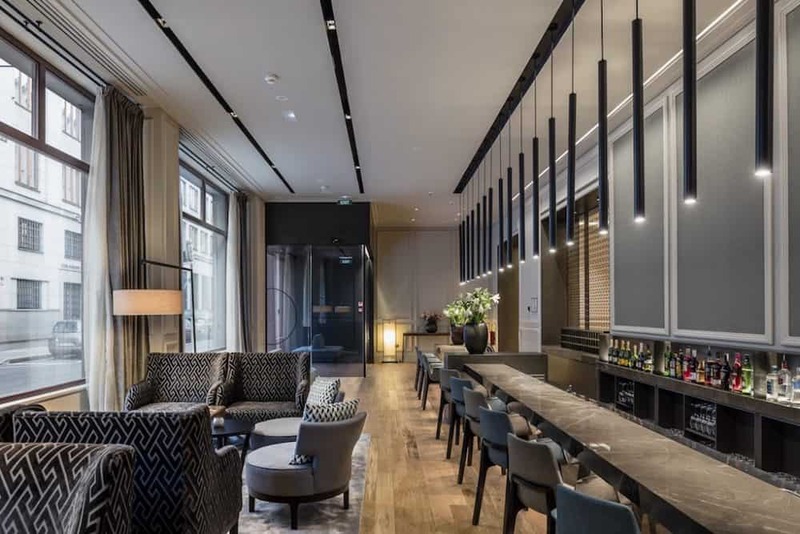 Located on a quiet side street close to the Old Town Square, the Design Hotel Josef Prague offers quirky design touches made from glass and steel, skilful light schemes and innovative use of modern materials. 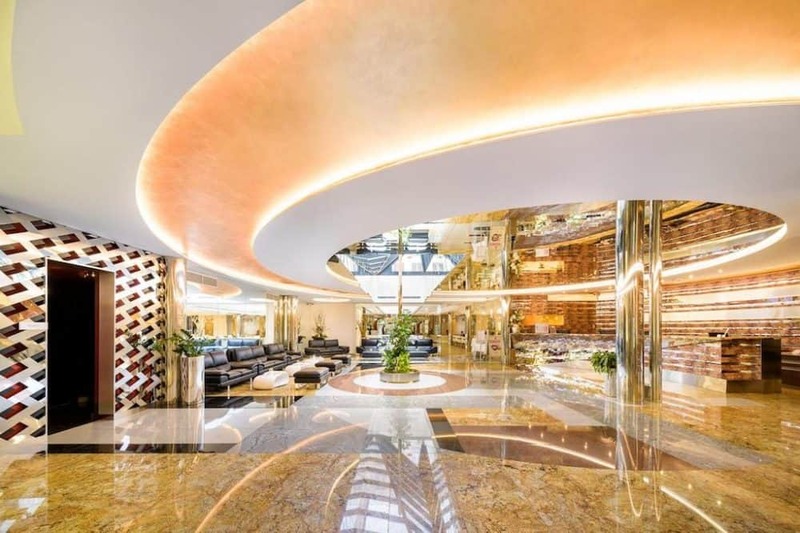 The brilliant glass and steel staircase is just one of the design elements that set this hotel apart from the competition, while bedrooms are equipped with kingsize beds, glass furniture and mid-century modern statement pieces. The hip Prague hotel also offers a welcome gift of freshly baked macaroons, and the bathrooms are stocked with French cosmetics. Guests can also take advantage of innovative extras like retro-moped rentals, an in-house French bakery as well as access to the hotel’s own private gardens. 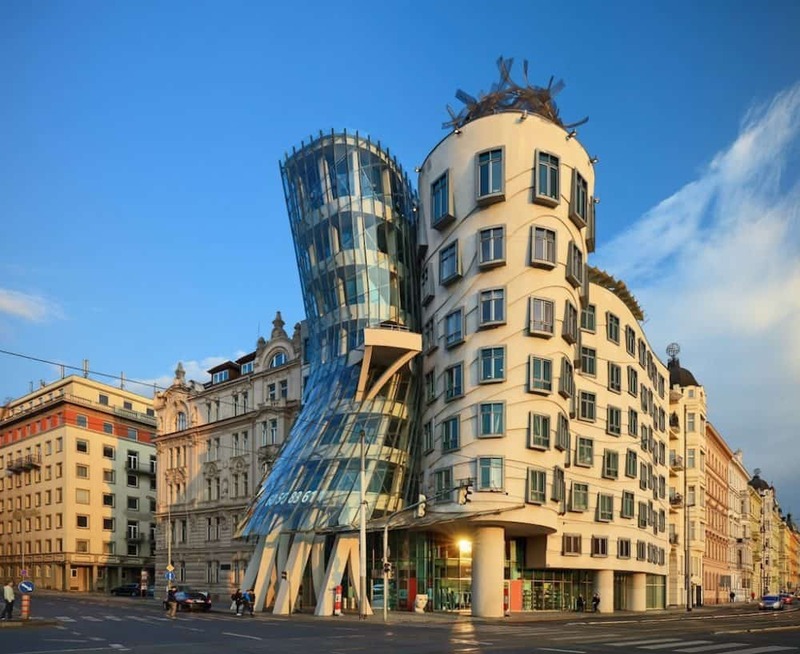 If you liked our collection of cool and unusual hotels in Prague we also have trendy hotels in Budapest and hip hotels in Berlin.